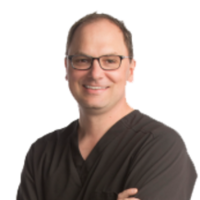 Dr. Joshua Renken, a central Illinois native, attended Eastern Illinois University and then the University of Illinois at Chicago where he received his DDS degree. Following associate work in Chicago, Dr. Renken moved to Springfield and opened his first practice, Renken Dentistry, in 2003. His commitment to continued professional growth has awarded him fellowships from both the White Cap Institute as well as the International Congress of Oral Implantologists. has been seeing Renkin dentistry for few months. Very good facility. Highly recommend this physician! Great communication and very professional! Hands down the best! had to see him last week toothache and needed root canal. He talks to you throughout procedure and make you feel comfortable. Dr. Renken is so kind and easy to talk to. He makes my family comfortable with each visit. He treated my husband for an emergency when he had never been seen at his practice before. They are a wonderful group! All the staff is just amazing and very helpful! Easy to make appointments. Office staff is wonderful. Doc makes you feel at ease. staff very good. Excellent dental care. gone there for few years. Renken dentistry provides such wonderful service! The doctors and staff were very friendly and provided me with an exceptional experience. He is the BEST dentist! It took my fear of dentistry and worked in a way that truly made me feel comfortable! Great staff. Fortunately I don't have to see a whole lot of Dr. Renken because of my lifelong membership to the No Cavity Club! Dr. Renken has cared for my family’s dental health for over 15 years. In addition to his state of the art, innovative treatment strategies, his calm and confident office atmosphere make dental maintenance easy for adults and children alike. Recently had to switch dentist. very happy with Dr. Renken. Explain things very well. Mostly on time. Excellent care. Love my dentist Dr.Renken. the best thing i like it there is the conservative approach and not to over diagnose. Are you Dr. Joshua M Renken or a manager for this practice? Claim your profile for free! You can update your picture, qualification and description. You can respond to patient reviews for free.